An article on the official website of the Anti-Defamation League (ADL) has accused Press TV of bypassing the West’s satellite sanctions by broadcasting live via YouTube and other internet and mobile platforms. Press TV has been unable to access its YouTube account since July 25 despite the video sharing site’s claim that the alternative TV channel’s account has become reactivated. “The account appears to be active (now) and you should be able to access it,” said The YouTube Team in response to Press TV’s weeklong queries about why the Google account it has been using for years to access its YouTube page has suddenly become disabled. Press TV’s YouTube team were unable to access the channel’s popular page, which remained “disabled” by the time this report was being filed. 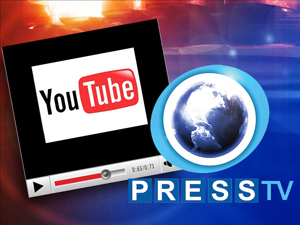 A large number of viewers and subscribers have emailed Press TV “to see why it’s YouTube page hasn’t been updated and whether the channel’s been censored on the video sharing site,” said Press TV newsroom director, Hamid Reza Emadi. “We have not been able to upload any new videos since (last) Thursday. Google has disabled the channel’s account without giving any explanation,” Emadi said, adding that people can only see videos published a week ago on the channel’s YouTube page. Meanwhile, an article on the official website of the Anti-Defamation League (ADL) has accused Press TV of bypassing the West’s satellite sanctions by broadcasting live via YouTube and other internet and mobile platforms.